Kay has authored numerous books throughout her 40 years in ministry. She attended California Baptist College and earned her B.A. from California State University, Los Angeles. Her children are Amy and Josh, and Matthew who is in Heaven, and she has five grandchildren: Kaylie, Cassidy, Caleb, Cole, and Claire. Dr. Nick Yphantides is a disciple of Jesus Christ and an advocate for those in his community who need it the most. He currently serves as the Chief Medical Officer for San Diego County and its 3.3 million residents (1% of America's population). He is the Founding Co-Chair of San Diego's Chilhood Obesity Initiative, was the Chief Medical Officer (CMO) of one the largest network of Community Clinics in San Diego County, the CMO of the Council of Community Clinics and was the publicly elected Chairman of the Board for Palomar Health, the largest Public Hospital District in California. 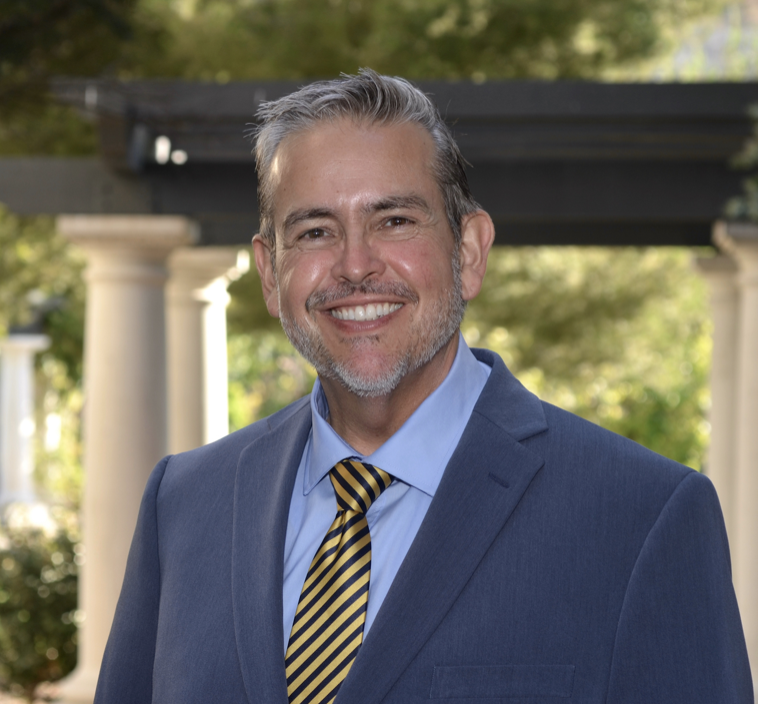 He serves on multiple community and ministry boards including Azusa Pacific University, Shepherd's Staff, San Diego Health Connect, San Diego County Medical Society along with several others. He is thankful for the fact that he has never seen a patient with private insurance in his life. As a result of his personal health transformation he now advocates for population health transformation. Dr. Nick is a cancer survivor and has been to as many countries as he is old. His daughters Veronique and Zoe are the joy of his life and they make their home in Escondido, California. Joyce Bruggeman serves as the Executive Director of Survivors of Suicide Loss in San Diego. She was employed at CSU San Marcos for eleven years, lastly as the Executive Assistant to the President. Losing her husband to suicide in 2008 set her life on a new course. Within a few years of his death, Joyce left the university to pursue more opportunities to work towards suicide prevention and mental health awareness, especially in the Christian community. Joyce speaks throughout Southern California to educate, enlighten, and reduce the stigma attached to mental health issues and suicide. Joyce and a colleague had the privilege of planting the first Grace Alliance Living Hope and Family Grace Groups in San Diego in 2012. She has been instrumental in developing and presenting the curriculum for the Faith Based Academy – a county initiative to bridge the gap between faith communities and mental health professionals. Joyce developed curriculum for the long-term survivor of suicide loss –Beyond Surviving – to help survivors experience Post-traumatic Growth and create a good “new normal” after suicide. Additionally, she teaches QPR (Question, Persuade and Refer) Gatekeeper Training for suicide prevention, facilitates support groups, and is a Certified Mental Health Coach. Joyce also sits on the board of the Community Alliance for Healthy Minds. She has authored two books under the pseudonym Joyce Turner: Reflections from the Everlasting Bridge and From God’s Heart to Yours. Scott C. Matthews, M.D. is a board certified psychiatrist who has worked at Veterans Affairs San Diego Healthcare System (VASDHS) since 2006 diagnosing and treating combat exposed individuals with PTSD, major depression, alcohol and drug use disorders and other major mental illnesses. Currently, Dr. Matthews is Medical Director of the Substance Abuse Mental Illness Program and Co-Director of the Interprofessional Fellowship in Addiction Treatment at VASDHS, and he is an investigator on federally funded grants investigating new and better treatments for PTSD and suicidality. Stephanie Salo, Psy.D., is a licensed Clinical Psychologist in the state of California. She earned her bachelor's degree in psychology from the University of Minnesota and her doctorate of psychology from Fuller Graduate School of Psychology. Dr. Salo's clinical training experiences focused on adult mental health ranging from young adults to the geriatric population at various sites, including Pasadena Mental Health Center, Rancho Los Amigos Rehabilitation Hospital, the West Los Angeles V.A., and Caltech Counseling Center. Dr. Salo completed her APA-accredited internship at the University of Minnesota, and earned her doctorate in 2012. She completed her post-doctoral training at Counseling & Psychological Services at University of California, San Diego (UCSD) serving undergraduate and graduate students. She was hired in 2013 as a staff psychologist, coordinating Urgent Care services and specializing in treating students in crisis. Stephanie is currently working as a Behavioral Health Specialist at UCSD's Student Health Services, providing care to emerging and young adults who have concurrent medical concerns. Dr. Salo enjoys working with most adult populations treating a variety of mental health concerns for both short- and long-term treatment. Her clinical interests include working with those who are: experiencing depression and anxiety, recovering from grief and loss issues, experiencing relational discord and/or in need of couple counseling, working through identity development, going through adjustment and life transitions, managing and helping clients develop assertive communication skills, and exploring spiritual and existential issues, as well as many other general concerns. Dr. Salo's theoretical orientation integrates psychodynamic, interpersonal, multi-cultural, cognitive-behavioral, and mindfulness approaches. Dr. Salo has a small private practice in La Jolla, and also is an adjunct professor of psychology at Point Loma Nazarene University. In her leisure time, Stephanie enjoys traveling, hiking, running, cooking/baking, game nights, and hosting fabulous dinner parties. Megan Broderick is a Licensed Marriage and Family Therapist and works as the Director of Counseling at The Bishop's School where she serves as the counselor for all students grades 6-12. After graduating from Bishop's herself, Megan completed a BA in Communications from Wake Forest University. She then began a career in television for several years before returning to graduate school for her Master's in Marriage and Family Therapy at the University of San Diego. Megan lives in La Jolla with her husband, Dan and their three daughters Molly, Brynn and Sawyer. 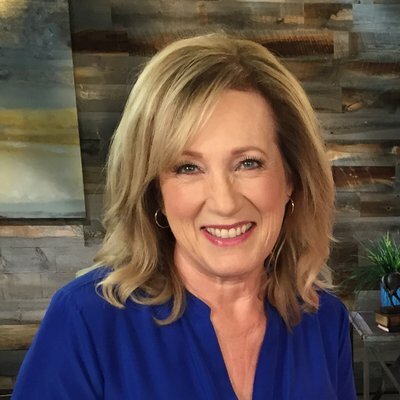 DR. ADRIENNE McFADD FERRELL, Ph.D.
Dr. McFadd Ferrell, is a licensed psychologist, practicing in San Diego since 1978, and her work history reflects a variety of interests. 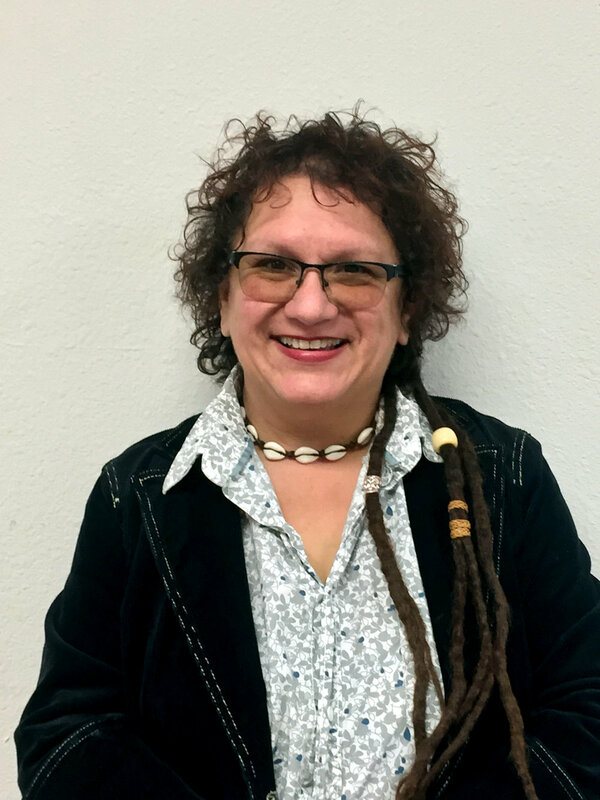 She has maintained a private psychotherapy practice throughout her career, worked as a supervising psychologist at Scrips Mercy Hospital, and as a psychiatric liaison throughout the Scripps system. Adrienne has provided individual, group, couple and family therapy for people of all ages. She has extensive experience with children, adolescents and adults in the area of grief, and developed a program for bereaved youngsters at Scripps Mercy, called Good Grief. She implemented a cognitive-behavioral group program for cardiology patients, Hearts and Minds, to assist with the psychological/emotional components of cardiac disease. In her practice she focuses on depression and anxiety within a cognitive behavioral framework, and also on trauma and PTSD. She has provided evaluations relating to PTSD and depression in asylum seekers who had histories of detention, maltreatment, or torture in their countries of origin, through the non-profit, Survivors of Torture International. This work involved testifying in immigration court. She uses EMDR therapy in working with people with trauma histories of childhood neglect and abuse, as well as traumatic experiences in adulthood. Adrienne is an enthralled grandma of 8 kids from 16 months to age 25. She is delighted to have the opportunity to participate in the Mental Health Summit. Mary Vannoy has been a California Licensed Marriage and Family Therapist. As of 2015 she became a nationally Certified Practitioner in Psychodrama, Sociometry and Group Psychotherapy. Never having worked or studied in the mental health field until later in her life, her previous careers consisted of sales and marketing, real estate and hospital administration. Mary’s mental health field experience consisted of providing group therapy and/or individual therapy for victims of domestic violence, perpetrators of domestic violence and parents working toward reunifying with their children in the C.P.S. system. Additionally she worked in group settings and with individuals who were struggling with addictions and/or co-occurring disorders. She also supervised MFT interns and students in practicum while in those settings. Since 2017 Mary chose to become semi-retired and only work part-time as an independent contractor, bringing her C.P. certification experience to Addiction and Co-occurring Disorders Treatment Centers in the San Diego County area. Currently and for the past 48 years, Mary and her siblings continue to be on a challenging journey with one of their brothers who was diagnosed with Schizophrenia at age 22, during his last year in college. Even though Mary has very minimally worked in a professional capacity with this population, she is quite familiar with this mental disorder. She has a tremendous amount of empathy for individuals who are diagnosed with Schizophrenia as well as for their families. Veronica Alzaga lives with her husband and three sons in the San Diego County. She has a Bachelors of Science in Psychology and a Master of Arts in Marital and Family Therapy. She works for Mental Health Systems, Inc - North Star Assertive Community Treatment, where she provides training and supervision to those treating individuals with chronic and severe mental illness. Additionally, Veronica has a private practice, where she helps couples work on overcoming infidelity and other relational challenges. She is also an active member of the community toward helping grow the knowledge of mental illness and reduce the stigma associated with it. 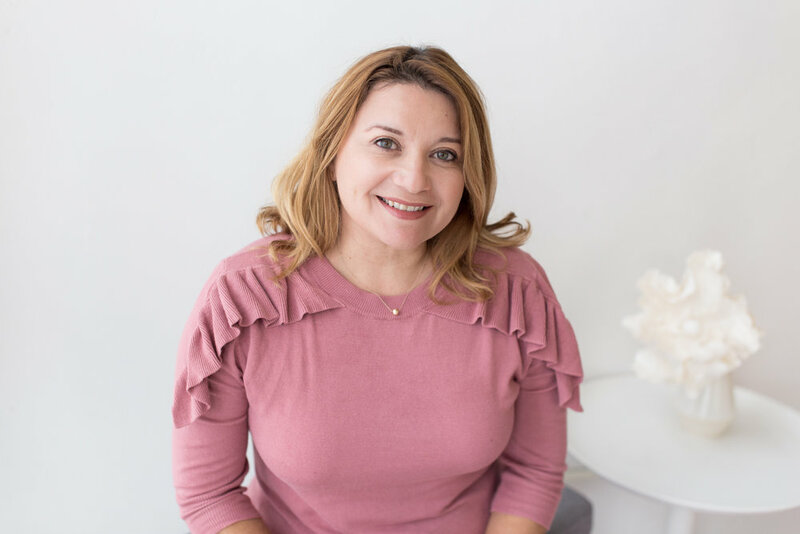 As a certified Instructor for the National Alliance on Mental Illness, she provides psychological education and support to families of those facing mental disorders. Through Interfaith Community Services, she contributes to bridging the gap between mental illness and spirituality by presenting mental health topics to faith-based leaders for them to identify, support, and connect with mental health resources. At the same time, she presents to mental health providers to grow their understanding of the role of spirituality in treating the whole person. Her greatest passions are God, family, and helping others. Suzette Southfox has worked with San Diego’s non-profit sector for more than 25 years, during which time she served the First Unitarian Universalist Church for 13 years as Director of Membership and Development. 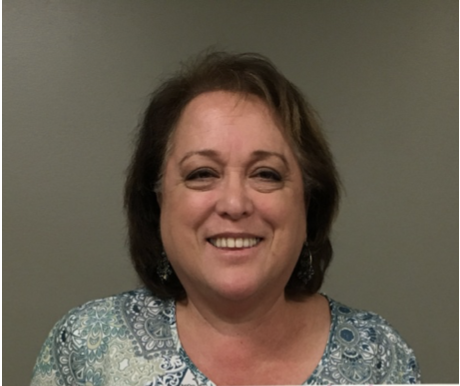 Suzette currently serves as the Director of Education with the San Diego affiliate of the National Alliance on Mental Illness (NAMI San Diego) overseeing education, support and training activities to support individuals and families who live with mental health challenges. Suzette knows firsthand the challenge of raising a child with mental health conditions, often without the help or support of the community. She knows that individuals with mental health challenges, regardless of age, often live without respite, support or help. She knows that faith communities, from the pulpit to the pew, often struggle with the language and the stigma that surrounds mental health conditions. Suzette is a Peer; a person who lives with a mental health challenge. She is a Family Member, whose loved ones live with mental health challenges. She is the parentof a very young adult who lives with mental health challenges. Suzette performs liturgical theatre, lay ministry, spoken word and is an open water swimmer. Dr. Galen Morgan Cooper has a Ph.D. in Psychology from Alliant University in San Diego, a Master’s in Hospital Administration from Washington University in St. Louis, and became a Certified Coach at The College of Executive and Personal Coaching in Santa Barbara. Dr. Cooper is passionate about raising awareness regarding the many aspects of addiction, including dual diagnoses. She speaks at professional meetings and to school, parent, and community groups on understanding substance abuse and dependence. Dr. Cooper coaches families, helping them to navigate their lives when addiction strikes. Veronica James L.C.S.W. is a Licensed Clinical Social Worker at Sharp Mary Birch Hospital for Women and Newborns. She has been working with families facing high risk pregnancies, Neonatal Intensive Care Unit (NICU) hospitalizations, pregnancy loss, adoption, surrogacy, substance abuse, and adolescent pregnancies in the hospital setting for 19 years. Veronica facilitates the weekly perinatal mood and anxiety support group for women at Sharp Mary Birch, a monthly Co-Ed support group for couples affected by perinatal mood disorders, and a weekly support group for parents with babies in the NICU. Dr. Susan Trueblood has been employed at North Coast Church in Vista for 18 years. She is a therapist at the North Coast Church Counseling Center and is a pastor for the Life Skills and Support Ministries. Her ministry includes providing support groups that range from substance use recovery to mental health support. She has a private practice in Vista. Susan graduated from Alliant International University with a doctorate in Marriage and Family Therapy with a specialization in Addictions.